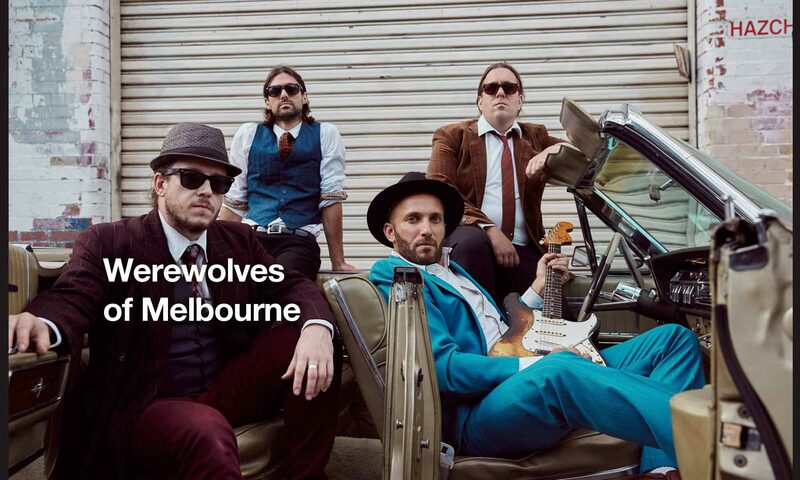 Following hot on the heels of their Gasometer Hotel launch for their blues-infused psychedelic new single ‘Close To Me,’ Werewolves of Melbourne are proud to launch their full length album titled ‘Crossing The River’. The night will feature special guest supports from The Mammas, Bill Barber & Lil ‘Rossco will be spinning discs to keep the party going! Two years in the making. ‘Crossing The River’ features 10 rollicking tunes with technicolor guitar work, a heaving rhythmic blues ethic and deep soul spirit. It was recorded at Nicky Bomba’s Freeburgh Station studio and The Studios In The City. Mixed by Tony Espie (Avalanches) mastered by David Walker and engineered by Robin Mai (John Butler). “It’s been 2 years in the making and we are scratching at the bit to get the release out. We’ve pressed our first run of the album on vinyl, so we’re super excited about that, too. We can’t wait to play this instalment live to the fans out there who have waited this long for the new record,” said lead vocalist Zevon Hiltz. Click to watch the brand new video for ‘Close To Me’! Click here for launch tickets, available 29th March. Click here for Facebook Link.